While it's a long way from being confirmed as solid fact, there seems to be an almost unstoppable momentum behind rumours that Retro Studios is working on a racing game set in the Star Fox universe. Dubbed "Star Fox: Grand Prix", this rumoured title broke cover earlier this week, immediately triggering some hoots of derision from long-suffering F-Zero fans who were quick to point out that Nintendo already has a futuristic racing series for crying out loud and why can't it simply do another F-Zero for the love of God and all that is holy (we're paraphrasing here). Video game historian, sleuth and occasional Nintendo Life contributor Liam Robertson has spoken up about what he has heard on the grapevine, giving us some interesting details about this mysterious title. First up, Robertson is keen to stress that the game isn't like F-Zero; we're speculating here but it sounds like it's more akin to NGen Racing on the PlayStation, a game from the creator of Wipeout which saw players racing against one another in fighter jets. Gameplay mixes racing with classic Star Fox moments; blasting enemies will give you a speed boost and you can shoot other players, too. Each Grand Prix consists of three tracks and boss battle, and when you're not racing you can walk around a hub area and interact with famous faces from the Star Fox series (Robertson has heard that Retro is even considering introducing characters from outside of the franchise, such as Donkey Kong). The hub also offers up new story elements and races. Finally, Robertson says that the name is subject to change and that the game could release as early as this year, although 2019 is also a possibility [Update: Robertson has since gotten in touch to say this particular comment wasn't accurate]. Now, given that this remains a rumour, all of the above information should be taken with a pinch of salt; however, Robertson's track record in this field is pretty much faultless and he has stressed that he has heard this information from several different sources, which lends some weight to it being legit. Let us know what you think of these details by posting a comment below. Love that people are getting mad because they're not getting what they wanted because Nintendo is breaking promises they never made over something that was never announced. LOL. Sounds like it could be fun...if its real and as described. I'm not sure about including other characters from other games. But if its done in a clever way, sure. Why not? Can't wait for the official announcement. I'm sorry but this won't beat Mario Kart 8 Deluxe, Nintendo has already released the best racing game for the Switch a year ago. Actually doesn't sound all that bad at all. Still a bit disappointed that if it IS true, Retro hasn't been working on a truly unique game that is a completely new IP at all, but still: not bad at all. Guys, I never said I thought this was coming out this year. That wasn't even close to what I said. I actually said I would be surprised if it came out this year. On the podcast, I was careful to stress that all of this information is unverified. I was asked what I had heard and so I shared it. I dunno if it's true. Had it been any other random developer, maybe not so much. But being Retro Studios, and the fact that every single video game they make winds up on my all-time favorites list, my mind is racing with the possibilities of how amazing this game could be. Everything they make is good. @LiamR Thanks for the clarification. Donkey Kong already knows how to do a barrel roll. Let him race! I will wait until we have something more substantial than rumors and speculation. The idea could be interesting if done right, but right now it's just that, an idea. @ThanosReXXX I thought of that too. Also thought of a cross between diddy racing and that canceled Robotech: Crystal Dreams for 64. Actually, now I just want a Robotech game. Really hope this is true. Retro + Star Fox = gold. I'm not gonna get my hopes up entirely, but this is looking very likely at this point. I stand by my statement that this is game that while sounds weird (and for some really disappointing) in paper, if handled properly it could end being an amazing game that could potentially help Star Fox come out of it's long rut. Just remember, if this game is indeed real and being made by Retro Studio's then the chances of it being great FAR outweighs it's chances of being bad (if it was being made by Arzest then yeeesh I would officially have no hope). If your disappointed in the sound of this and would have rather prefered a more traditional style Star Fox game, that's perfectly understandable but try and reserve judgement on it until you officially see what it looks like. That sounds damn good, and Retro taking inspiration from the Wipeout series is an even bigger plus in my book. Here's to hoping these rumors are true. And this is yet another reason why people shouldn't over react to rumours. People didn't learn from the Kingdom Battle leaks and they haven't learned with Star Fox Grand Prix rumours. Wait for the actual reveal before forming an opinion. @Agent721 If any of those unconfirmed games on that list are true... ouch, my wallet. This could end up being the first Retro game I skip. I mean, the game itself sounds...perfectly fine. Which is why I'll probably skip it. I thought the same thing. We shall wait & see. Didn’t anyone learn their lessons from Mario+Rabbids last year? Don’t talk trash about Nintendo games until AFTER they announce it. I just want Star Fox Zero ported, sans forced motion controls. Let them be an OPTION and I’ll pay full price!! Right! Now! I trust Retro to deliver something compelling. They’ve yet to disappoint me. Reskinned Diddy Kong Racing? That had shooting and bosses, also a hub area. ....still, I don't think it would hurt them to just give us a new F Zero. Even if they had no new ideas for gimmicks, new tracks, online multiplayer and the western debut of the track editor would be more than enough to sell. Yeah, this actually sounds really promising. Better than it did initially. If true, that is. Today the BO4 announcement exposed some of the liars who kept claiming it was coming to switch and E3 will put an end to a few other "leakers" or "insiders" who are always wrong but somehow people keep giving them credit for nothing. I have faith in Retro... Wouldn't surprise me if this is better than Mario Kart (which is excellent). Just need LKD to chime in, then the rumour Triforce will be complete. @thiz You don't speak for other people. Knock it off. @MegaVel91 Yo dont get to tell me when to knock it off. Knock it off. I can buy the rumor. But if it's true I won't be buying the game. Sounds dumb. They need to just reboot the tired franchise with all the classic elements of the original, an art direction that looks like the dolls on the original cover, and inject an intense, more adult-oriented, character-driven story with a feel of 2001 Space Oddysey or Interstellar with a simar-sounding OST. This would of course require an overhaul of Peppy and Slippy's annoying characters as well. Love Diddy Kong Racing, like the additional modes and variety in Sonic Racing Transformed. I really thought that the next Mario Kart would do well to have an "adventure mode" for exploration progression and unique modes a la Diddy Kong Racing, BUT... if it is going to take Star Fox to make it work (from Nintendo's), I'm happy to give it a chance. There's a version of this I can imagine that is fantastic, balancing tight racing with shooting enemy targets (not just other racers) and then still maintaining epic boss fights... it has potential. @ThanosReXXX I don't know. This feels original enough to me and surprising enough for people to call it "new". We also don't know if maybe it started as original IP and someone important remarked "something something Star Fox..."
@Agent721 That is either flipping fake or Nintendo is not screening its titles. Yoshi's Flipping Island? Let's all get excited for Star Fox "Lylat System". Besides the titles (maybe Yoshi's Flipping Island is a secretly genius name... lol ) I wouldn't be disappointed in that list. This is so weird and so Nintendo, I cant help, but think it is true. @aaronsullivan "something something Star Fox..."
I would have preferred they slapped a Wacky Races or Dastardly and Muttley skin on it myself. Rather just get a new StarFox. Wow. A GENTLEMAN BRONCOS profile pic. Nice. So has Retro or Nintendo denied this rumour yet? It sounds very good.Depending on how it looks like I might buy it. D’ya remember that time someone leaked a game with Mario teamed up with Rabbids in a Tactics like RPG and the internet wet itself that they didn’t want it before knowing what it was like? @ThanosReXXX I think there was an NL article yesterday - or the day before - that said that part of where they got the info also said that Retro are working on another game, but that they are struggling with it and that they may end up canceling it. @Kimyonaakuma I take it you’re not a Fox-Slippy shipper (OTP) then. Will never buy it as I don't have a Switch, but given that it's inspired a bit by WipEout, it should be pretty darn fun. Never did like Mario Kart. @invictus4000 I don't think I've ever seen all of 2001 Space Oddysey and I don't think I've heard of Interstellar, but as a huge anime fan, I wouldn't mind a Cowboy Bebop or Outlaw Star-style of Star Fox game. @Kimyonaakuma It would not be trying to compete with or replace Mario Kart in any way. More than one first party racer with combat elements can exist on a system, especially one with a completely different cast of characters and flight mechanics. Please, let it be true! @Koudai1979 100%. A full on cell shaded anime art style would be fantastic for Star Fox. @Koudai1979 If you didn't grow up with 2001 Space Odyssey, you can probably skip it but you HAVE to see Interstellar. It's a film by Christopher Nolan and stars Matthew McConaughey and it's brilliant. Anyway, one thing is clear to me: Star Fox needs SOMETHING else than what it has to re-spark it. It needs its own reinvent the wheel 'Breath of the Wild' treatment. It's the same on Neogaf where people are claiming nobody wanted this,now I would hate to burst their or our bubble,but people who post on forums are in the minority compared to the amount of potential and existing Switch users out there,hell NeoGaf at it's height was only around 180,000 regular posters,this has gone down to 130,000 since the founder had those accusations against him. So how people seem to equate this to everybody being upset is beyond me,more like a percentage of the very small vocal minority on the internet does not want this game,even though they don't know the full details as yet and have never seen or played the game,and of course it's still only a rumour at this stage. As I have said before these genuine videogame leaks are controlled by Nintendo and the developer to temper peoples initial reaction to a title imho,this allows people to get used to an idea before they get to see it for real,they then can judge the title more objectively than they would if it was the first time they were seeing it. Donkey Kong “eh?” <rolls barrels down the wing of his Arwing>. I really want this game to be real. It all sounds fantastic and like a lot of fun thus far. Eh. I already have MK8D. I probably won't buy another racer. We'll have to wait and see, but I would have preferred something else. Finally, a StarFox game that gives me permission to shoot Falco! I really hope that these rumours are not true. I'd rather have Mario Kart 9 and a new Sonic Racing game is also on a horizon so this one sounds the least interesting. Star Fox just doesn't stand a chance against the other two mascots and I for one don't need another racing game. @TheOpponent the comment of the day. That sounds pretty great. I have full confidence in RETRO. @TheWorkingDead Logic doesn't come into play around here, you're supposed to freak out, cry, scream, wet the bed, damn Nintendo to hell for doing this and treat this rumour as gospel. Gimme Gimmie Nintendo! A E3 surprising announcement will happen that or Super Smash Bros will be the Star of the show there we may get a surprise and shocking reveal from Splatoon 2 announcement saw well. My interest is slowly growing. Wonder if this was designed as a Fox game from day 1, or if Retro were working on an original IP (as they’ve suggested before) and Nintendo suggested using Fox to make it more appealing to the fans (a la Star Fox Adventures). Not sure this sounds like it's been worth the long wait. I just want a new F-Zero game. WipEout Omega Collection (with VR mode too) showed that there's still plenty reason to make a futuristic racing game in 2018, and one that's still genuinely compelling and exciting. 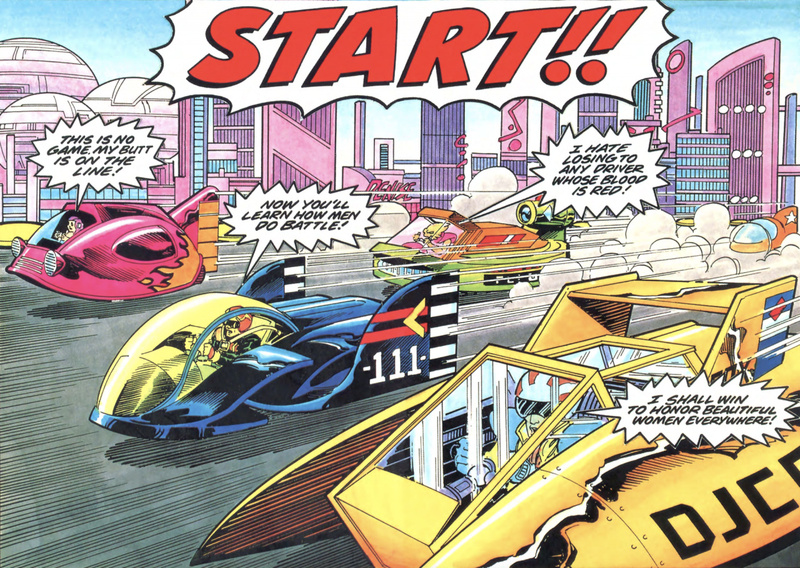 Make a pure F-Zero racing game but maybe with visuals like those seen in Dragon Ball FighterZ to match the original and awesome art/illustration seen in the comic* that released with the first game (that would just be really cool if done right), put in a cool story mode that shows of all those great characters, have online racing for up to 30 players, include a track editor, and you're pretty much good to go. It would also be truly awesome if there were a VR mode just like WipEout VR--but, no, Nintendo isn't doing VR! Seems a bit rubbish they can find out all this information, but they didn't get a release date, characters, cost, box art , and any details about possible dlc. @WhiteTrashGuy One of my favorite movies! Yeah I'll be passing on this one. I don't get Nintendo fans need for obsessing over Retro and convincing themselves whatever it is they're working on is inherently a piece of software they must have. Sounds interesting, but not sure it's a better option than just a new F-Zero. We'll see I guess. Certainly open to the idea though and Retro have a good enough track record to get my interest. @dew12333 People who leak this kind of info often do, but the info is just as often withheld in the event that it may incriminate their sources. I’m not really looking forward to this. Star Fox has never been high on my list of Nintendo properties. 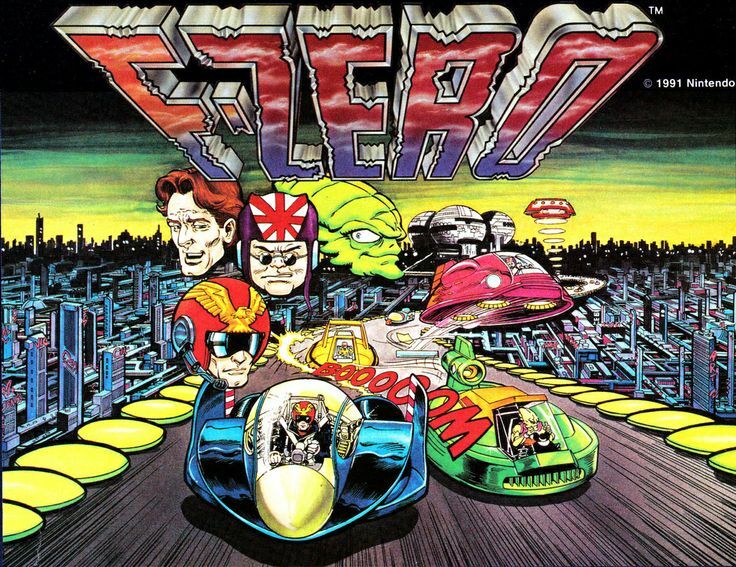 I would just as soon them give us a new F-Zero. It seems like Star Fox done right if the rumors hold up. I'm imagining a cross between Diddy Kong Racing's airplane tracks and on-rails Star Fox levels. 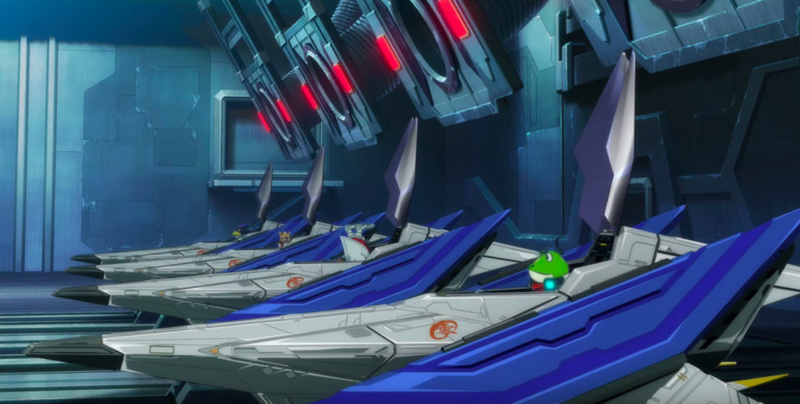 Throw in all the characters from Star Fox Command with their personalized machines and it could be pretty good. @NewAdvent People like him are causing all kinds of grief by even hinting this information just because they have clout with the news sources. Clearly, those people are a very positive influence in the community and they ought to keep endangering jobs for their own sake. We all win when that happens. Sounds pretty awesome if true. I really do kind of hope it's not true. It sounds kind of fun but we already do have mario kart. By the time this releases it will have been nearly 20 years since we had something approaching a decent star fox game from nintendo. And lets face it Assault is sitting at a 67 meta score. Realistically it's been over 20 years since we had a proper star fox game. I see this as little more than continuing the tradition of shoehorning star fox into games they don't have confidence in. Star Fox just seems to be nintendo's whipping boy. Trot it out for more abuse every year just to remind the few remaining fans of just how much nintendo hates star fox. Yes! 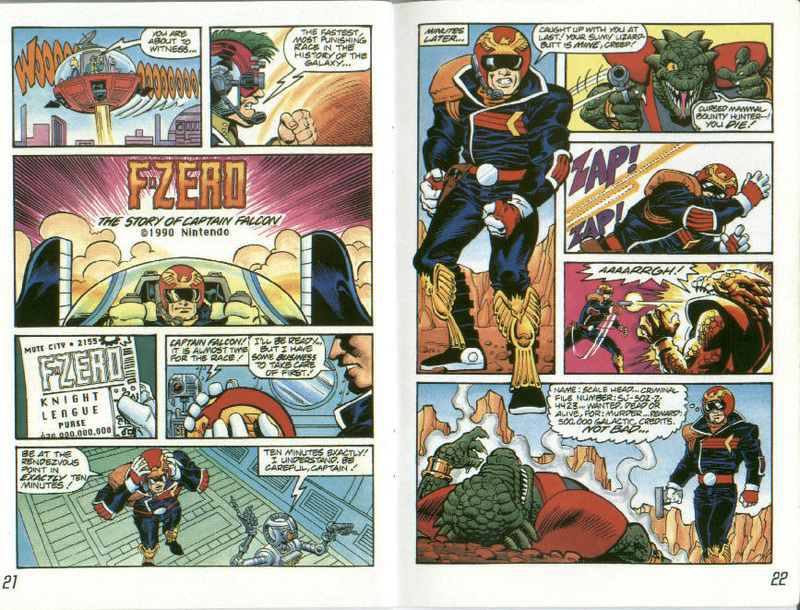 Great F Zero idea! I’ll do back flips if we get a proper game. Obviously I want Retro to do another action/adventure/fps type game, but this sounds fun and Star Fox deserves a great game. By the sound of it I'll definitely be getting this. @aaronsullivan Still not a new IP and totally new idea, though, since the type of game has been done multiple times before, and that's what I meant. It was always said that Retro Studios was working on a completely new IP, with unknown characters and in an unknown setting, and if Nintendo "Star Fox-ified" it, then it's Dinosaur Planet all over again, which would be an eternal shame. Back in the Wii U days, reports were that Retro was also busy making a custom game engine, that would push the Wii U to its absolute limits, so that's something that I would like to have seen, and not it becoming either a Donkey Kong Country Returns sequel, or a simple Star Fox arcade racer. This is weird though. Star Fox isn't nearly as big a franchise for a spin-off like this to be a good seller. We just want another main series Star Fox (without a weird control system, though I didn't mind Zero), and we also just want an F-Zero game. Don't get me wrong, this could be good and I look forward to playing it but combining two genres of franchises they could easily make two highly anticipated games from is odd. I think this sounds good. The arcadey confines could make for a graphical spectacular with Retro at the wheel. And as long as it doesn't punch me in the face and steal any of my things, it'll be better than Zero. This has a lot more potential that a straight-up rail shooter, that's for sure. If these particular rumors are true, then I'm glad Retro is doing this. @ThanosReXXX Never heard of Skydrift before but you've got me interested now. I'm not sure if either of the current HD twins offer backward compatibility for the game, but if you still have an Xbox 360 or a PS3 hooked up, or a decent gaming PC, then it's still worth the purchase. Overall, the game got pretty good reviews back during it's initial release. The more I think about the possibilities of space-race warfare it kinda gets me excited. Just release this and F-ZERO GX HD and we'll call it even. But can we kill slippy? @N64SNESU I always get into bed with Nintendo, we have a thing going on. @N64SNESU the architecture, the design, the marketing, the philosophy, everything is different between WiiU and Switch. The only similarity is that portable switch is similar to WiiU in raw graphical power (I doubt WiiU could run DOOM and Odyssey though). Given this similarity and the ease of porting to the switch consequently a lot of ports are being rereleased on Switch. It makes good business sense. But the Switch is nothing like the WiiU repackaged. As much as I love my WiiU, I resent that statement. The switch is selling because it’s a neat piece of kit with great games. The WiiU had some great games but was let down by poor design, confused marketing, old architecture, confused philosophy etc etc. Oh so different. I'm buying it if this turns out to be a good game. If it wasn't a starfox game, I'd bet you all would have been interested though. It's like Nintendo forgot that they used to make the best adventure games. This is the follow up to Wii U and 3DS. And I buy a system because it has games I want, not because its a successor to anything. Nor do I care whether they (dubiously) could have been done on any other system, I only care if they have. But that's just me. While it sounds like it could be a (very?) good game - we're talking Retro Studios after all - i still don't really feel it. Would have preferred if Retro Studios showed us something more original, an unique new world, or maybe re-imagined another franchise more dormant than Starfox ... maybe Eternal Darkness, Dinosaur Planet (still a shame that Nintendo did not let this game to be) or their own Raven Blade. @ThanosReXXX if true then it's sad to hear that. I keep hoping that Retro would finally get to work on that Ravenblade game that they were working on for GameCube. @Koudai1979 That title was already completely canceled way back when, much to my dismay as well, so that one has unfortunately already been dead and buried for decades. And stuff like this happens all the time: ever since game development started, there's been hundreds upon hundreds of titles that ultimately never surfaced for one reason or the other, even though the premise of them might have sounded great or at the very least interesting enough to be made into an actual game. Uhm how is this relevant if these are - as the article states - just baseless rumours? Why even write an article about it (despite the fact that it sounds interesting)? @ThanosReXXX I forgot about Project Hammer. I didn't know about a VHS tape either. I did have a disc that was the size of a GCN game disc, but was only playable in a PC and had videos for GCN games like SSX Tricky, Rogue Squadron II, and more. I might still have it. @ThanosReXXX Great, thanks. Can play it on my PS3, there's a demo of Skydrift available. Graphics still look good too. Thanks again, I love finding these games that are hidden gems. @wazlon You're welcome, my pleasure. Always nice to share a good game, and this is indeed a hidden gem. With mk8dx, fast rmx, and gear club unlimited, I have all the racing i need, but if Starfox turns out to be true, who knows. @ThanosReXXX Thats the one! I must have stopped working. If so, I probably threw it away. @invictus4000 2001: A Space Odyssey came out about 11 years before my time. I don't remember seeing it, but I know I've heard the name a lot. I'll keep an eye out for it and Interstellar. @electrolite77 the collective fanbase. Look, you disagree clearly. I just don't think this satisfies the need from Star Fox and F-Zero fans. AND I KNOW IT'S NOTHING LIKE F-ZERO before you nitpick that as well. So still no word on "ExciteBots: Trick Racing 2" then. @WhiteTrashGuy Had to do a double take and scroll back up. We must be the only three people who've seen that movie.